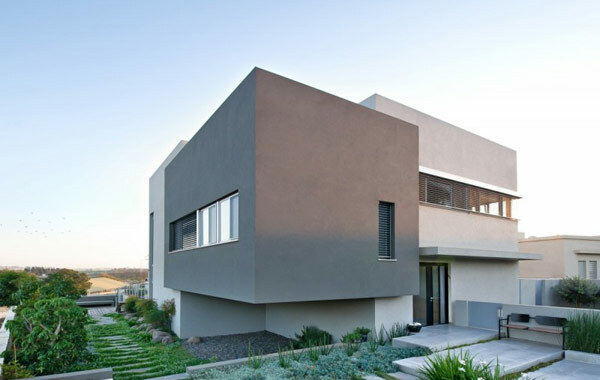 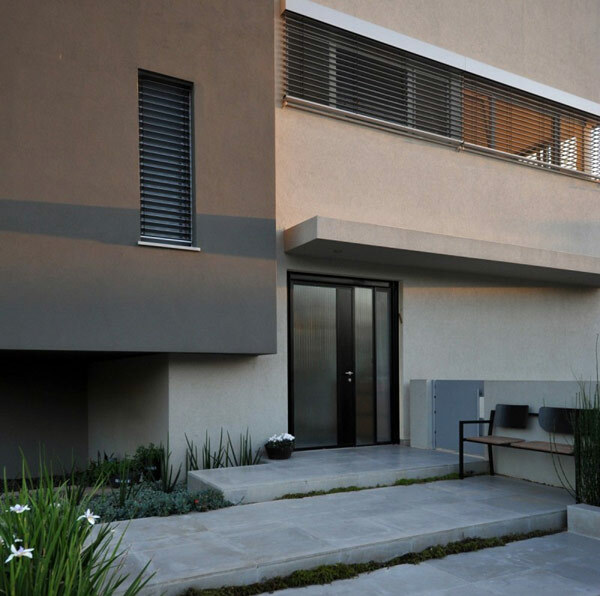 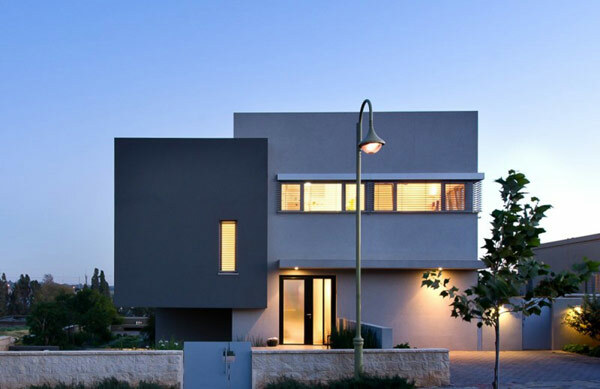 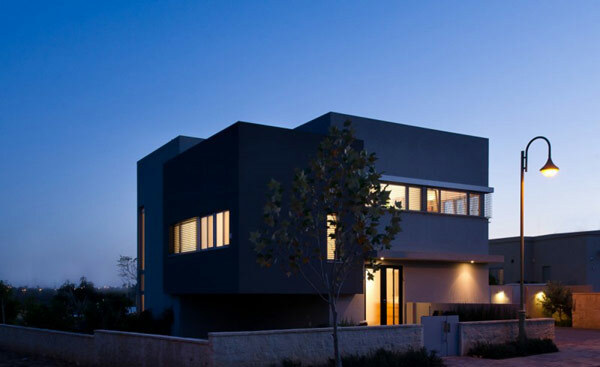 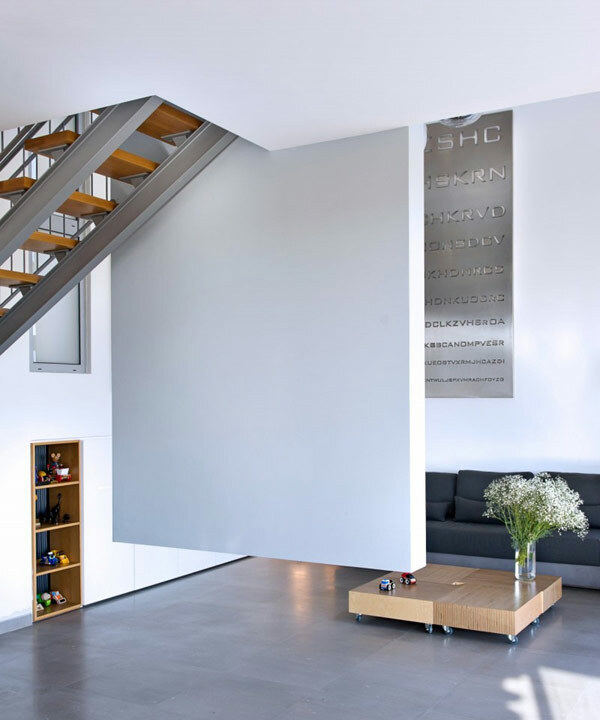 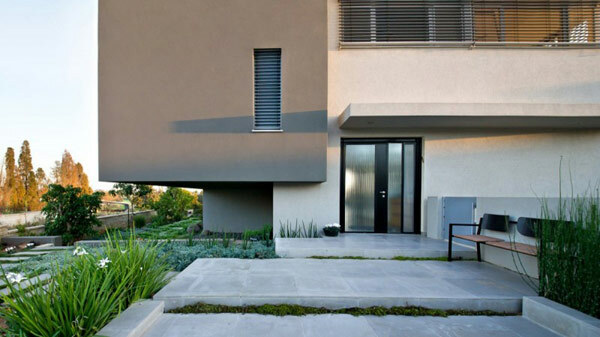 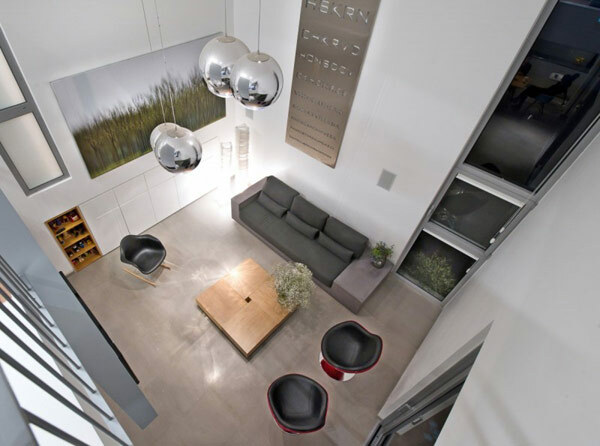 The Hasharon House is one of Sharon Neuman Architects‘ projects – a modern residence located in Israel. 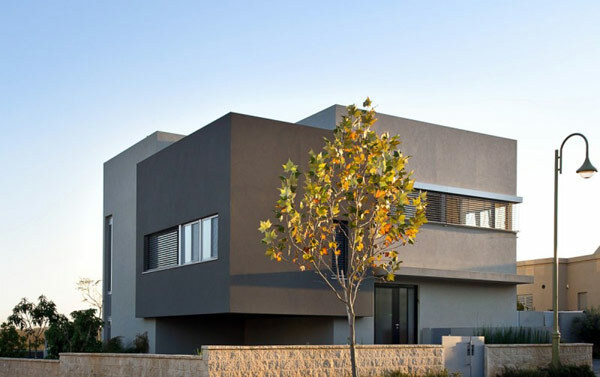 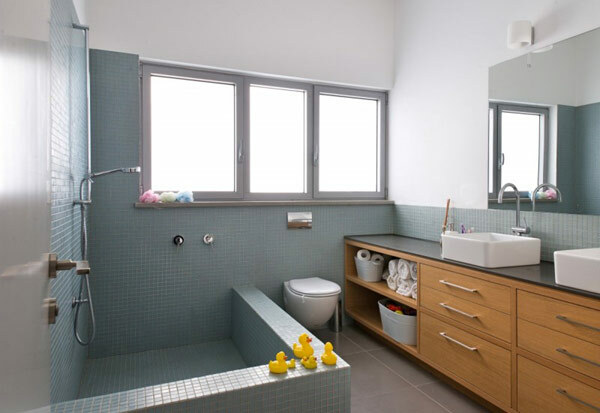 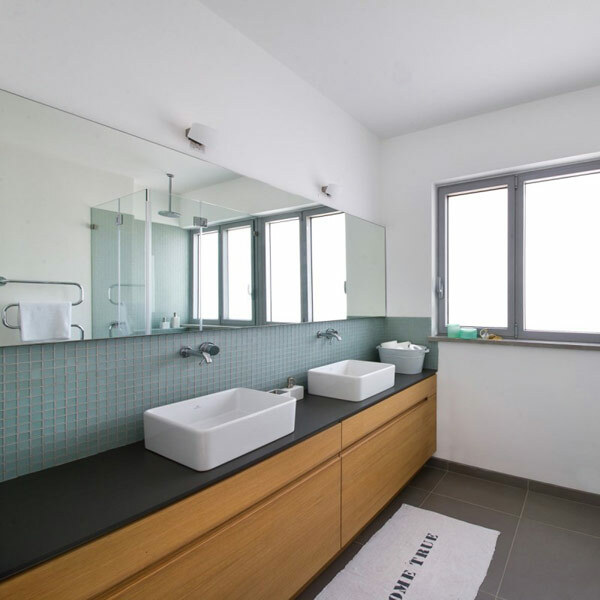 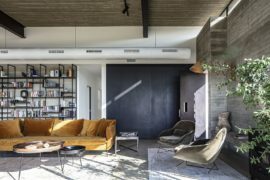 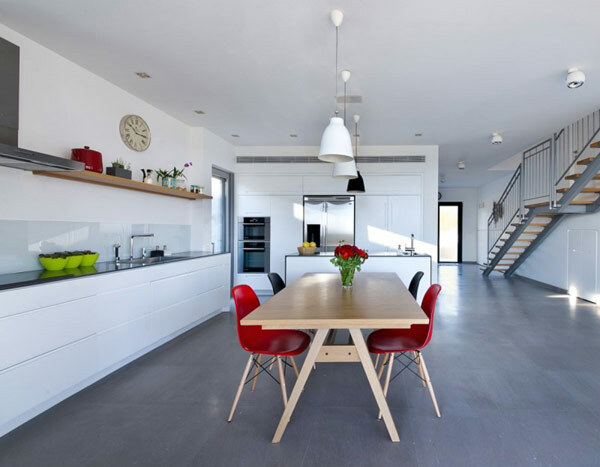 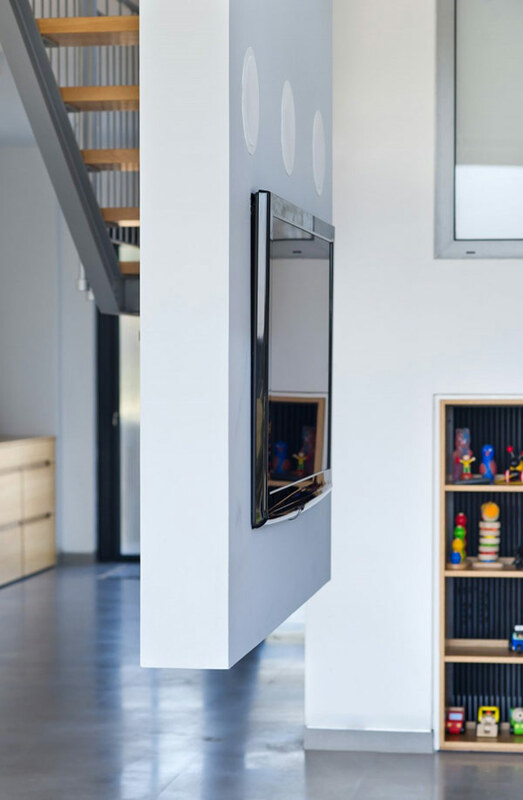 Spreading over 2,200 square foot, the Hasharon House is home to a young family and their three children, so all the interior and exterior spaces were designed to mirror this and offer each inhabitant personal spaces they can enjoy. 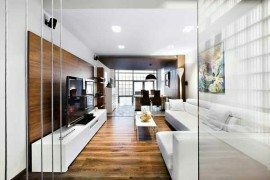 Besides the private spaces, the common living and entertaining zones gather the family together in a carefully designed atmosphere. 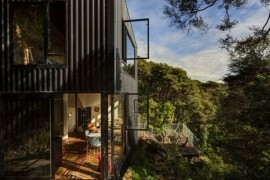 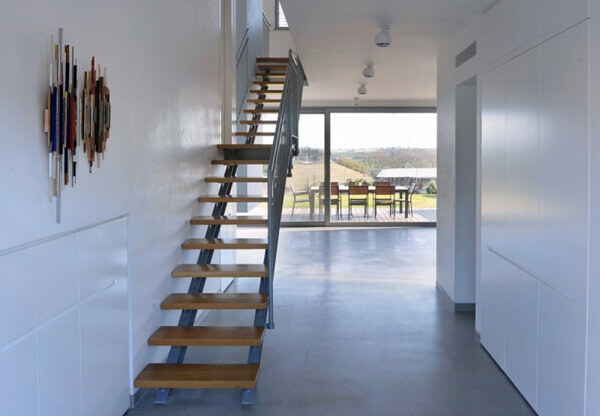 Overlooking agricultural fields in the backside, the house was created to protect the inhabitants’ privacy while offering them private views over the quiet, relaxing surroundings. 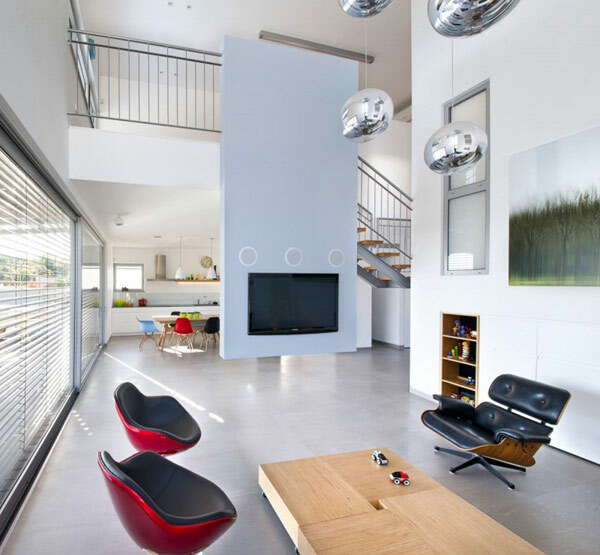 The extremely high ceilings in the living area make a roomy and grandiose statement. 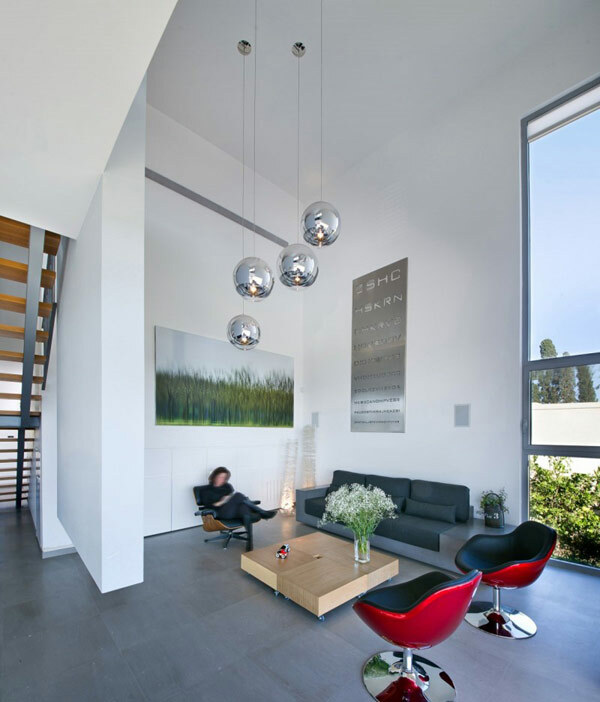 The hanging globe lamps accentuate this height even further. 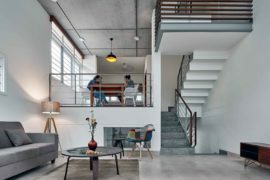 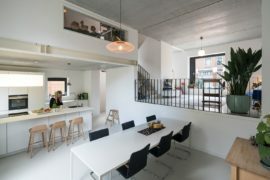 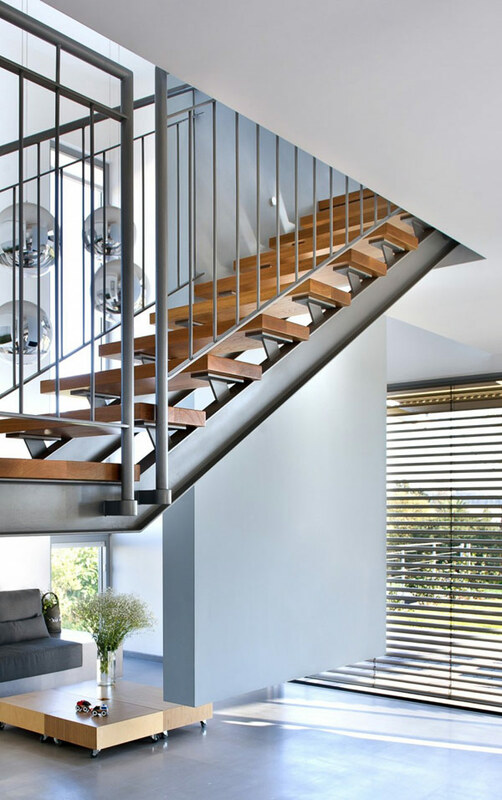 The flight of stairs with a landing is neatly placed against a wall that occupies a minimum of space allowing full use of the ground floor without a big visual intrusion.